My Mom started me scrapbooking when I was just in Highschool. She has been there for me year after year. Mom's are like that ya know. Anyway, due to being married to a Military man I have found myself living far from her company. I created this layout because she has been on my mind so much lately. This one's for you Mom. I love you and hope I can be there for you anytime you need me. It is simple as one to three to make your titles sparkle. P K glitz makes it that way. Step 1) Cut your letters out of Sticky Paper, you can do this by hand or with a machine. 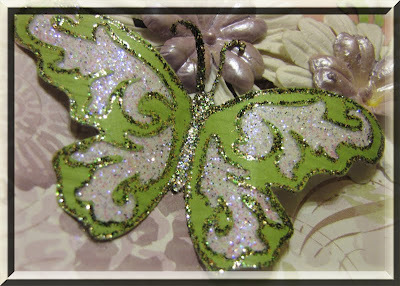 Step 2) Peel backing off and sprinkle with some P K Glitter Glitz. Step 3) Adhere to your layout or card. To make the layout or card complete throw some glitter on an object or two some where else on the layout. On this one I glitzed up a die-cut butterfly. 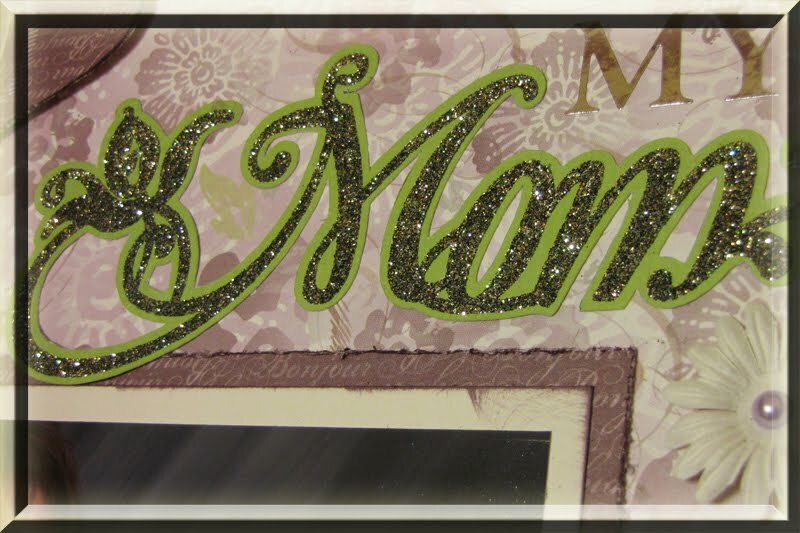 Don't forget to leave a comment on my 100 followers Celebration post... click HERE you just might win a CRICUT cartridge! Oh so pretty....thanks for the how to!!! Wishing you a great one!!! What a gorgeous LO! Thanks for sharing! 100 Followers!!! - Time for a giveaway!